We like to keep it pretty simple here. Christopher Blank is a Melbourne-made, custom-design studio dedicated to creating furniture and homewares from sustainably sourced timber. Honouring the integrity of the materials we use is key to CB’s philosophy; design and proportion first then function built to last. 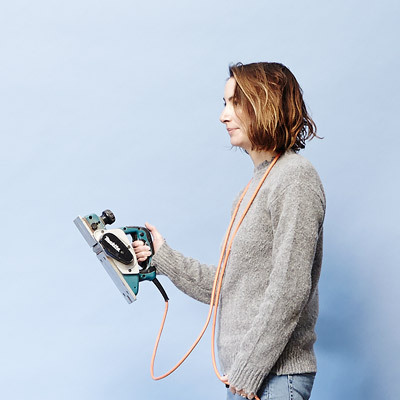 Furniture maker Luke (Christopher) Atkins and designer Veronica (Blank) Paiva are obsessed with timber; the way it looks, the way it feels and how it ultimately makes your house a home. Christopher Blank pieces are built with this in mind; we want to play a useful part in the beautiful chaos of life and we do this by creating heirloom furniture to be loved and used for generations. We believe that refined design shouldn’t compromise everyday function; whether it’s a sleek dining table that serves up impassioned discussions or a perfectly proportioned stool that you can pull up to play bridge with grandma, Christopher Blank want you to have both. Christopher Blank is a husband and wife duo; Luke and Veronica, two dogs and a small human baby, aka THE BOSS (also handcrafted by us but currently not for sale). Blank was born from a collective passion to produce quality, handmade pieces as a team; furniture made with our minds and hands, together. 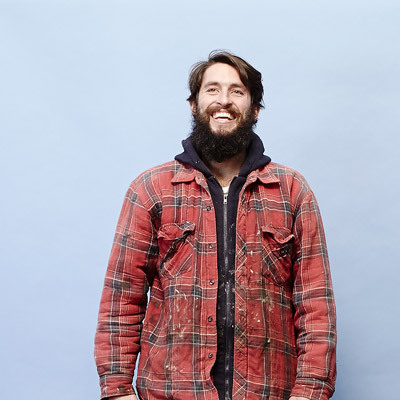 Luke’s background is in carpentry– his meticulous attention to detail was honed while specialising in restoration and heritage homes. Veronica has worked in design and visual merchandising with global luxury brands for over sixteen years.